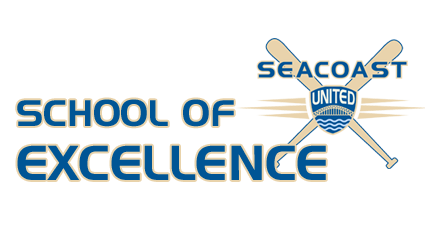 Seacoast United Baseball is proud to offer a developmental program for youth baseball players within the Seacoast area for the fall/winter of 2017/18. Entering its 5th year, this program will be available at two locations throughout the seacoast region: York Sports Center, York ME and Granite Fields, Kingston NH. The School of Excellence is a unique program for 7-9 yr olds and 10-12 yr olds, with the goal of improving the level of baseball in the area. Players will train once each week for 8 weeks in an enjoyable and challenging environment. During this 6-week program, each 60-minute session will focus on fundamental skill development and execution. Every week will include offense, defense, pitching, as well as skill-specific games at the end of each session to give players a chance to compete against their classmates. Training will encompass skill development in hitting, pitching, fielding, and in-game situations. These motivated players will enjoy the opportunity to train with our enthusiastic and experienced coaching staff and bring the skills they learn into their spring and summer baseball seasons. For more information on the program, please click on the relevant links to the right.